Available in two sizes, the Howard Chair is one of our most popular and comfortable, comes with Sprung seat and back, Seat height 44 cm at the front, sinks to 39 cm at the back. comes with tapered or traditional shape leg. Howard Stool is designed as a ‘run up’ to the Howard Chair or Sofa. 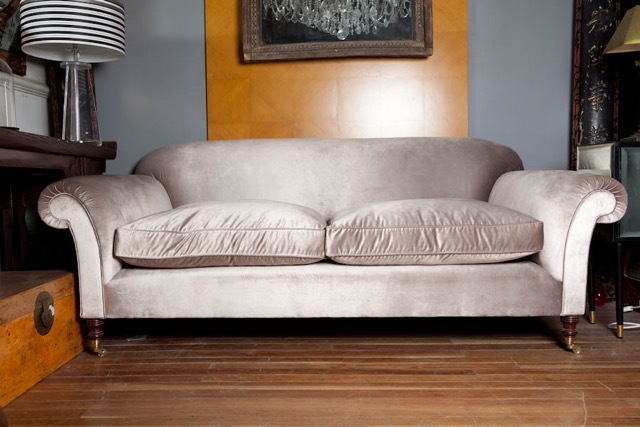 Such a stunning piece, upholstered in the right fabric can make these sofas fit any type of decor. They look great in any modern, or traditional space, sofas can be produced in a variety of fabrics and leathers. 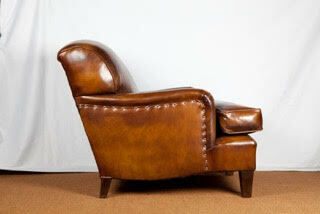 Georgian Wing Chair available with matching Claw & Ball Stool. 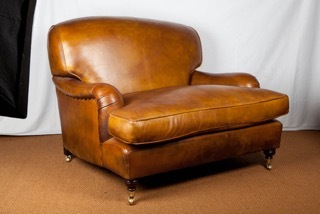 In choice of fabric or distinctive finish hand dyed leather.